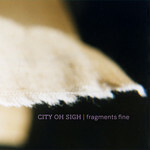 Home Alone Music is proud to announce the release of 'Fragments Fine', the debut album from Wellington chamber-folk band City Oh Sigh. Combining unique cello-laden instrumentation with subtle elements of folk and minimalist pop, City Oh Sigh have crafted ten soulful songs that will capture audiences with their softness and beauty. Lead singer/songwriter/cellist Kate began City Oh Sigh after a stint playing with several bands (Ladybird, Blackbelles, Shiver Like Timber, Planet Earth) across New Zealand, Australia, America and Europe. On returning to New Zealand, she teamed up with old friends, Sarah (vintage Rhodes) and Catherine (guitar, vocals and trumpet), and started writing songs of love and loss, friendship and loneliness. All three girls also appeared in the amazing all-girl power-pop octet, St Rupertsberg. The trio released their first EP 'Like a Light' in 2011. Sunday Star Times' Grant Smithies called it 'fragile folkpop for delicate souls'. And praised the band's determination to be " to be soft, sensitive and calm in a world that values brashness and noise." Reviewer Martyn Pepperell said, "Like A Light is a masterful debut. For lovers of folk/pop music, this is an essential release." Following the success of 'Like a Light', jazz drummer Hikurangi Schaverien-Kaa was invited into the fold adding new dimensions to the live show and the recordings. 'Fragments Fine' was recorded by Wellington sound wizard James Goldsmith (So So Modern, Grayson Gilmour, Sunken Seas, etc) at Munki Studios and Mastered by Munki Masters' Mike Gibson.